A light-hearted and comic romp from the nation's favourite storyteller and author of The Loner. Footloose, fancy free and ready to get back in the game, newly divorced Ben is back home with mum which is just where she wants him. But best mate Dickie has other ideas, and soon they are sharing a flat, up to all sorts and plotting Ben's future romantic adventures. But being single isn't all it's cracked up to be. Ben staggers from one disaster to another - all under the beady gaze of his ex, who may not want him but doesn't want anyone else to have him either! And then there's Ben's co-worker Poppy, who seems very interested in his escapades too - could she have plans of her own? 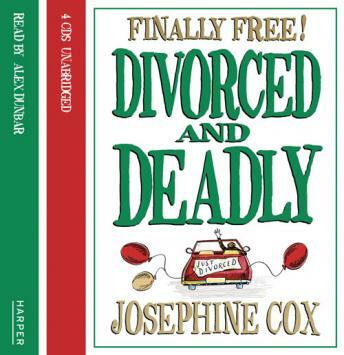 Laugh-out-loud funny and based on true stories that you just couldn't make up, Divorced and Deadly is the perfect feel-good read.